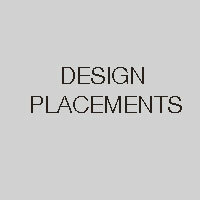 Over the years we have developed a good relationship with design practices across the various design sectors. Practising Designers are invited to project crits as well as giving presentations on their work which ensures a continuous link to the industry. Students gain practical experience within companies demonstrating that the skills learnt on the course can be put into practice immediately. Along with the portfolio of work the individual graduate is able to combine transferrable skills from previous experience such as project management, marketing, budgeting and client liaison that adds to the employment opportunities.